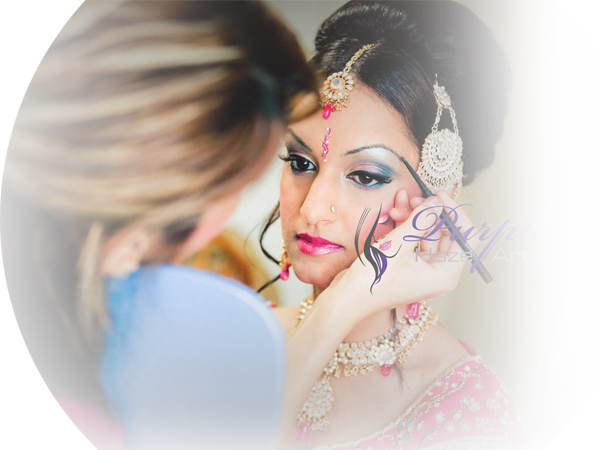 Purple Haze Artistry provides make-up (traditional & airbrush), hair design and dressing services for ethnic and non-ethnic weddings. We are based out of Vancouver, British Columbia and provide mobile services within the Lower Mainland, Nationally and Internationally. Your wedding day is not just about being made up to look good but to also look fantastic throughout the whole day. Our aim is to make you up for the special day and most importantly make you look good in the photos that you will look back at for years to come. Every bride wants something different, whether you want a heavy traditional makeover or that subtle elegant look. We listen to every question you will have and suggest the best way to go about making you look beautiful. In addition to bridal services, we also provide services for non-bridal, TV, model portfolios, corporate/fashion shoots, runway shows and all of your other special events.